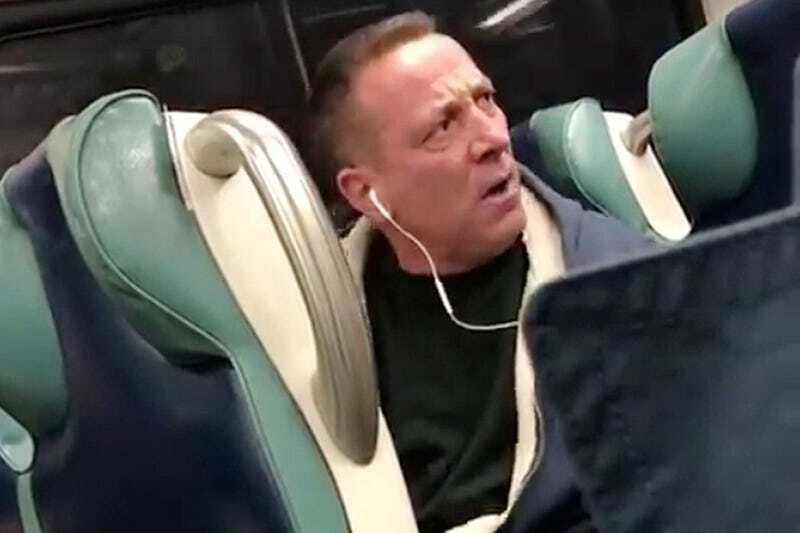 Earlier this week, a white man on the Long Island Rail Road in New York went viral as he spewed a racist rant at a black female passenger. Of course, it only took a matter of days for the ranting racist to be identified. According to the New York Daily News, several people have named Edward Ruggiero, a New York stagehand, as the man in the video. And the woman subjected to his rant, Soraya Orelien, wants to press hate crime charges. “He needs to pay for what he’s done to me. ... This cannot continue to happen. It’s 2018,” Orelien stated. Of course, even though he looks like the man in the video and sounds like the angry, rabid racist, Ruggiero denies that it’s him. “It ain’t me,” Ruggiero said. The Daily News caught Ruggiero at his home and snapped photos of him. When they were shown to Orelien, she positively identified him. Orelien, a student at Baruch College in New York City, says she’s glad the video was released. In a statement, James Claffey Jr., the president of the stagehand union Ruggiero belongs to, says that Ruggiero continues to deny being in the video, but they’re investigating, too.